Bumble Bees in Great Malvern, Worcestershire sleeps 2 people. Bumble Bees in Great Malvern is a one bedroomed, ground floor apartment overlooking communal gardens and set back from the main road, so it’s very lovely and peaceful. The owners have lovingly and thoughtfully decorated this property to make it extremely comfortable for friends or a couple to enjoy. Just across the road you will find yourself directly on the path into the Malvern Hills, which is an Area of Outstanding Natural Beauty. It is a short walk into Great Malvern’s bustling town centre where you will discover many shops, pubs and bars, and a choice of restaurants, as well as the theatre where they hold the Malvern Theatre Festival. Also close by is the Three Counties Showground which holds many exhibitions and shows throughout the year, including the RHS Malvern Spring Festival and the Royal Three Counties Show. If you wanted to get out and about a bit further, Malvern Link railway station is only 1 mile away. Also worth a visit is the neighbouring town of Upton-on-Severn, famous for its festivals of jazz, folk and blues, and there are many pubs along the river. The cathedral cities of Worcester and Hereford are close by and slightly further afield are Gloucester, Cheltenham and Stratford-upon-Avon. The Cotswolds, the Wye Valley and the Brecon Beacons are also within easy reach. The nearest shops, pubs and restaurants are ½ mile from Bumble Bees in Great Malvern. Bumble Bees in Great Malvern is al on the ground floor. 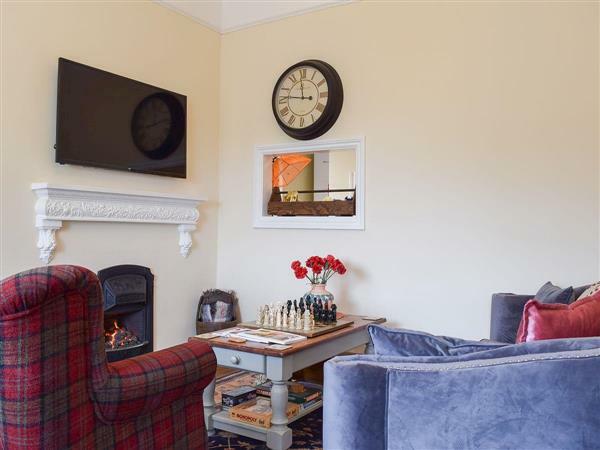 Living/dining room: With gas fire, 50 Freeview TV and CD player. Kitchen: Galley style with electric oven, induction hob, microwave, fridge and dishwasher. Gas central heating, electricity, bed linen and towels included. Welcome pack. Enclosed courtyard with terrace, garden furniture and barbecue. Lawned garden (shared with other properties on-site). Bike store. Private parking for 1 car; additional on road parking. No smoking. Please note: There is a steep slope and 3 steps in the garden. Holidays at Bumble Bees run from Friday to Friday. For a better idea of where Bumble Bees is, you can see Bumble Bees on the map below. Bumble Bees is in Worcestershire; should you be on the lookout for a special offer, you can find all the special offers in Worcestershire. It's always worth checking to see what is on offer at the moment. Do you want to holiday near Bumble Bees (UKC1797), you can see other cottages within 25 miles of Bumble Bees; have a look to find your perfect holiday location.